Why isn’t there much news at the moment? OK, Dolly Diver has been caught out, you’ve noticed, and people are asking why there isn’t much news at the moment on losgigantes.com. It’s a compliment to know that there are so many of you keeping in touch with what’s going on around here. Dolly is struggling to keep up with the news at the moment because she has had to blow the dust off her diving instructor cap and dive back into action to take over the running of the Los Gigantes Diving Centre. The Dive Centre is celebrating its 20th anniversary of being in her family so they’ve some special deals lined up. Those of you who may be interested check out special deals on their web site, www.divingtenerife.co.uk Local divers pop in to see us for a chat as we have some special deals for you as well. In a bid to beat this awful recession we are preparing to move losgigantes.com/Custom Built Computers/Canaries Wireless to the local next to the Dive Centre in Los Gigantes. It’s a tremendous task and there aren’t enough hours in the day. The new office/shop will be open very soon after the Easter break (the date will be announced on the message board). You will still be able to contact us on 922 862713. The dive centre and our new office/shop is located on Los Gigantes Marina inside the marina arcade, the entrance is next to restaurant Stella Marina (formerly Bella Napoli). We are aware that parking can be a problem so we will be offering our clients a collection and drop off service for computer repairs. Canaries wireless will continue to operate as normal, and clients having difficulty signing up on line will be able to get tech support at the new office. Dolly will still find time to make sure you are all playing nicely on the forum and important items of news will be reported. 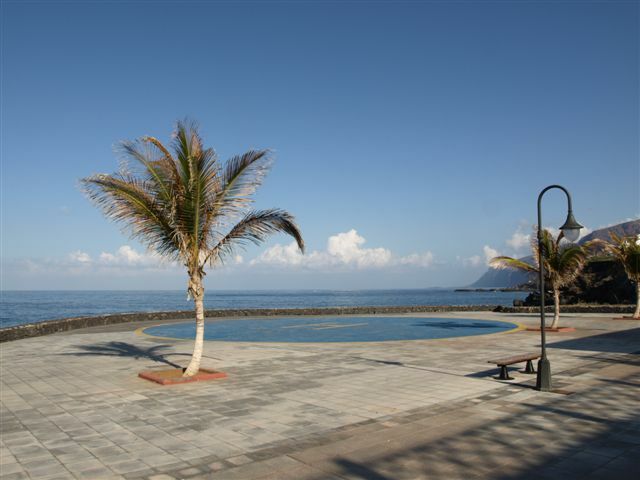 Banks here in the Canary Islands are back on summertime opening hours and are not open Saturday mornings. Opening hours are Mon – Fri 8.30 – 2pm. Some banks open again from 5pm – 7pm one day a week. Anyone seriously ill or injured needing urgent transportation to hospital via helicopter will not get the rapid service they need if the incident occurres after dark, because the heliport in Playa Arena has no lights. This is a major cause for concern and lives could be saved with better facilities. Santiago del Teide council is being urged to install floodlights and introduce 24-hour operation of the heliport. Two Spanish men, 26 year old H.F.P. and 33 year old V.D.J.A have been arrested in Alcala for possession of 12 kg of hashish. During undercover police investigations the two men from El Rosario were transporting large amounts of the hashish to tourist resorts, which were to be re packaged into smaller amount which could be easily sold in bars. Both men are now in custody waiting a court hearing.